All home cinema settings do not call for the traditional decor that most urbanites are averse to. 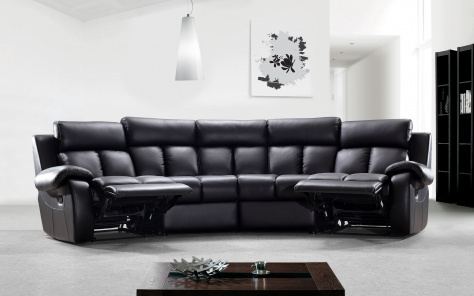 Browse through our web for our extensive collection of home cinema sofas which are resplendent in style and looks. We have a vast selection you can spend hours looking at, and you will be spoilt with choice with the options available that would complement your home theatre or add a splash of luxury to your space. 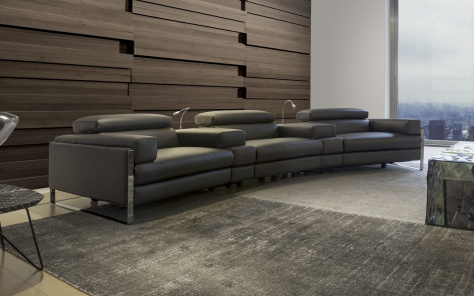 Our exclusive varieties of modern cinema sofas are adaptable and sophisticated. Upholstered with the best quality real or faux leather or the finest quality fabric including suedes, velvets and even cashmere that are available in the market, you could not have asked for a better solution. Moreover, our cinema sofa chairs can be transformed into a recliner variety. This allows scope for leg rest or making enough space to rest your head. While people marvel at the design and the genius of the model available with us, we take pride in its multi-functional utility and purpose. We also cater to customers inclined to opt for the casual lounge settings with contemporary seating features like reclining backrests and rising footrests instead of the conventional sofa kinds. Our customers often claim how it is increasingly difficult to choose any one cinema sofa from the rest considering the wide range and their multitudinous variety. Add to the look and style of our fabulous cinema sofa sets, and it is the price that sets them reeling with surprise. With each piece available at affordable rates coupled with the benefit of getting a free-home delivery, it is pertinent that most of our stocks get sold a month before the holiday season starts. Browse now and opt for our luxurious and contemporary home cinema sofa sets to enjoy watching home theatre with your family and friends. Peep into our showrooms if you wish to touch and feel our eclectic assemblage of the best quality furniture. What can be better than having the perfect cinema sofa when watching the perfect film. This collection is made up of sofas which in our opinion are uber comfy and uber stylish, ideal for any home cinema area.